"The Year of the WISP"
Tune in to experience the largest and most comprehensive conference for the broadband industry. It's hard to believe, this is our 4th WISPAPALOOZA and attendance just keeps growing every year. 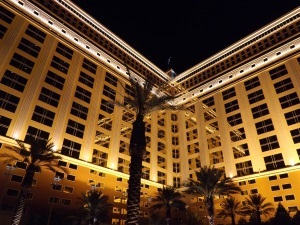 It is without a doubt, the one "Can't Miss" conference for the WISP industry each year. If your company is new to the WISP industry or an experienced and accomplished ISP, this is the conference for you. Make sure you attend Fiber Weekend, the Opening Reception, 40 sessions covering marketing, technical, business and regulatory topics and the Annual Awards Banquet on Wednesday evening. The exhibit hall is huge this year, touting room for up to 144 booths. Any vendor that is anyone in the WISP industry should be present as there is no conference that brings the number of potential customers as WISPAPALOOZA, regarded as one of the most cost-effective and lucrative conferences to exhibit at. Partner Events and Training - Saturday, Sunday, and Monday. 40 Sessions in Business, Technical, Marketing and Regulatory Tracks Huge Exhibit Hall featuring over 100 manufacturers, distributors, consultants, software companies, fiber vendors and more! Entry price is USD $50! Streakwave Webinars is pleased to present MetaGeek: Easy to use, easy to deploy, powerful, proven and affordable spectrum and packet analysis for Wi-Fi. 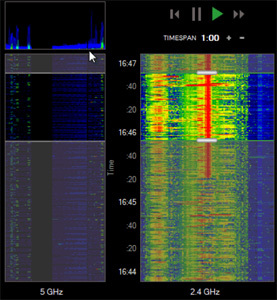 MetaGeek tools lets you visualize your RF environment. Learn from this free and informative Webinar about how to "see" noise and interference when installing or using indoor enterprise wireless LANs. 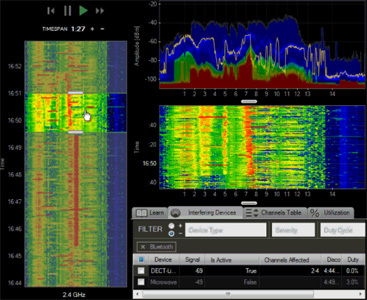 If you are a network installer, systems integrator, VAR, service provider, or end-user, the MetaGeek tools are for you. This Webinar will cover a variety of MetaGeek spectrum and packet analysis products, the solutions/applications they assist, and what they can do for your project. Do you use WLAN? 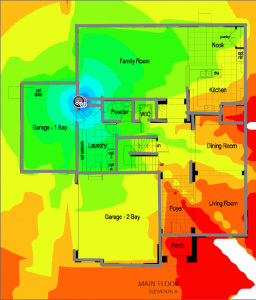 Do you have guests who use your indoor network? Do you want or depend on consistent indoor wireless coverage? Do you have issues with dead spots or interference? Do you know signal strength? MetaGeek products allow you to see the invisible. Microwaves, Bluetooth, interfering radios, wireless microphones, baby monitors, and more can interfere with our wireless operations, MetaGeek lets you see them and address/conquer the issues and create reports. Installers everywhere use these tools to install and maintain wireless networks. Join Streakwave Wireless, a MetaGeek distributor, for an informative presentation and discussion with Q&A.